Aug 4, 2017 - hepatitis and portal plasma cell infiltration on histological examination, ... hematological disorders, such as autoimmune hemolytic anemia,. Mar 17, 2014 - Abstract. Background and objectives: The frequency of Type 1 diabetes (T1D)-related ... anti-Liver/Kidney microsomal (LKM-1) antibodies in. Dec 7, 2011 - recognized as lymphoplasmacytic sclerosing pancreatitis or non-alcoholic duct destructive chronic pancreatitis based on unique .... (LPSP) which is characterized by a predominantly lobular ..... Follicular hyperplasia (type II). Autoimmune liver diseases are chronic liver disease with similar clinical .... antibodies (SMA) and antibodies to liver/kidney microsome type 1 (anti-LKM1)8. A young woman with muscle weakness. Institute for Clinical Immunology, University of Erlangen-Nuremberg,. Erlangen ... Outline and long-term prognosis in 15-deoxyspergualin-treated cases. Japan. Sep 7, 2006 - suggested cerebral vasculitis. Neurological investigation and electromyography disclosed multiplex neuritis. (MN) probably due to vasculitis. Nov 29, 2018 - Patients with autoimmune hepatitis (AIH) may sometimes have concomitant idiopathic thrombocytopenic purpura (ITP). Severe. May 29, 2009 - any type of viral hepatitis. ... emia  . Autoimmune hepatitis (AIH) is a chronic autoimmune disease of ... anti-liver-kidney microsomal antibody,. 5.0 index. Uric acid. 1.8 mg/dL. AMA. (-). Total protein. 6.5 g/dL. IgM anti-HAV. (-). Albumin. 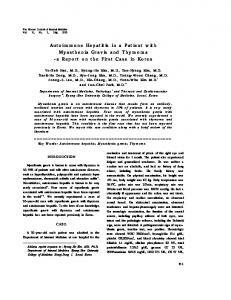 3.7 g/dL .... APS-2, and IPEX (immune dysfunction, polyendocrinopa-. Autoimmune hepatitis (AIH) is a chronic liver disease that is characterized by autoantibodies and hypergammaglobulinemia. It can lead to liver cirrhosis if untreated; however, most patients show a good response to immunosuppressive therapies, including corticosteroids. AIH predominantly occurs in middle-aged and elderly women and is sometimes accompanied by autoimmune diseases such as rheumatoid arthritis, Sjögren syndrome, and chronic thyroiditis (1). 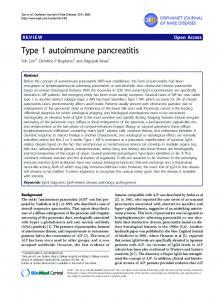 Type 1 diabetes mellitus (T1DM), which is the predominant form of DM in children, is considered to be associated with autoimmunity against pancreatic islet cells (2). However, there are few reports describing cases with both T1DM and AIH, and the genetic background and disease phenotypes of such cases are not fully understood. We herein describe the case of a T1DM patient who experienced acute-onset AIH 20 years after the onset of T1DM, and discuss the characteristics of patients with both T1DM and AIH, together with previously reported cases. A 26-year-old Japanese woman was hospitalized at a local hospital because of liver dysfunction that was detected at a regular visit for the management of T1DM. She was admitted to the hospital and her liver function had worsened without a specific diagnosis; she was transferred to our hospital 11 days after admission. She had been diagnosed as T1DM when she was 2 years of age, and had continued insulin therapy. With regard to autoantibodies associated with T1DM, she was positive for anti-glutamic acid decarboxylase (GAD) antibody and anti-islet cell antigen 2 (IA-2) antibody (18.6 U/mL and 1.6 U/mL, respectively, on admission). With regard to her history, she had developed acute hepatitis of unknown etiology when she was 3 years of age, and her liver function recovered without any specific therapy. After recovery from acute hepatitis, her liver function tests had been normal until this time. She had no history of travelling abroad within the previous year, intravenous drug use, and did not regularly consume alcohol. She did not take any medicines or supplements regularly, and took ibuprofen and acetaminophen occasionally to obtain relief from menstrual pain. Figure 1. An abdominal contrast enhanced computed tomography scan. There were no signs of liver atrophy, ascites, or dilatation of the bile duct. Figure 2. The liver histology. (A) An image of a liver biopsy specimen [Hematoxylin and Eosin (H&E) staining] that was obtained at the local hospital. Massive collapse and necrosis in the cenrtilobular zone 3 area as well as interface hepatitis in the portal area were observed. (B,C) Images of the second liver specimen that was obtained at our hospital after the recovery of coagulopathy. H&E staining (B) and Elastica-Masson staining (C). The findings of collapse, necrosis, and inflammation became milder. duct injury. The patient was diagnosed with acute liver failure of unknown etiology, and steroid therapy with methylprednisolone (mPSL; 1,000 mg/day for 3 days) was administered; the dose was then tapered (Fig. 3). Blood transfusion with fresh frozen plasma was performed several times for the maintenance of coagulopathy. During the tapering of the corticosteroid dose, ursodeoxycholic acid (UDCA) was added and the liver function gradually recovered. After the recovery of coagulopathy, US-guided liver biopsy was reperformed. The examination of the second biopsy specimen revealed that the inflammation had become milder and that the fibrosis had not progressed (Fig. 2B and C). We considered that the histological findings might correspond to features related to the acute onset of AIH. On the 56th day after admission, the patient was discharged with prednisolone (PSL; 10 mg/day) and UDCA (600 mg/day). We diagnosed the patient with AIH based on the revised scoring system of the International Autoimmune Hepatitis Group (IAIHG); her score was 19 points (3). 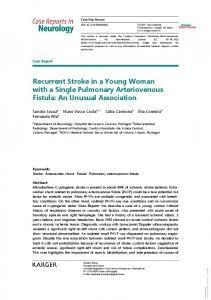 Furthermore, the patient fulfilled 4 of the 5 items of the Japan AIH guidelines of 2013 (4). After discharge, the patient’s liver function was stable and the administration of PSL (5 mg/day) and UDCA was continued. Because it has been suggested that both AIH and T1DM might be associated with a genetic background and that some human leukocyte antigen (HLA) types were reported to be risk factors for such diseases, we determined the HLA haplotypes and compared them with those of previous Japanese reports (Table 2). This analysis revealed that she had DRB1*0901 and DQB1*0303, which are reported to be associated with T1DM (5). However, she did not possess any of the HLA types that have frequently been found in patients with AIH (6-9). Bold typeface indicates HLA types that match the present case. controlled. Although the co-existence of AIH and T1DM is rare, it should be considered that acute liver injury may be induced by autoimmunity in T1DM patients, regardless of their age. The authors state that they have no Conflict of Interest (COI). References 1. Trence DL, Morley JE, Handwerger BS. Polyglandular autoimmune syndromes. Am J Med 77: 107-116, 1984. 2. Nakamura K. Type 1 diabetes and interferon therapy: a nationwide survey in Japan. Diabetes Care 34: 2084-2089, 2011. 3. Alvarez F, Berg PA, Bianchi FB, et al. International Autoimmune Hepatitis Group Report: review of criteria for diagnosis of autoimmune hepatitis. J Hepatol 31: 929-938, 1999. 4. Ohira H, Abe K, Takahashi A, Watanabe H. Autoimmune hepatitis: recent advances in the pathogenesis and new diagnostic guidelines in Japan. Intern Med 54: 1323-1328, 2015. 5. Kawabata Y, Ikegami H, Awata T, et al. Differential association of HLA with three subtypes of type 1 diabetes: fulminant, slowly progressive and acute-onset. Diabetologia 52: 2513-2521, 2009. 6. Seki T, Ota M, Furuta S, et al. HLA class II molecules and autoimmune hepatitis susceptibility in Japanese patients. Gastroenterology 103: 1041-1047, 1992. 7. 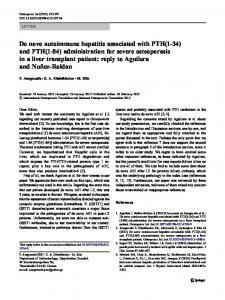 Zeniya M, Takahashi H. Characteristics of autoimmune hepatitis in the Asia-Pacific Region: historical review. Hepatol Int 6: 342-349, 2012. 8. Umemura T, Katsuyama Y, Yoshizawa K, et al. Human leukocyte antigen class II haplotypes affect clinical characteristics and progression of type 1 autoimmune hepatitis in Japan. PLoS One 9: e100565, 2014. 9. Aizawa Y, Hokari A. Autoimmune hepatitis: current challenges and future prospects. Clin Exp Gastroenterol 10: 9-18, 2017. 10. McFarlane IG. Pathogenesis of autoimmune hepatitis. Biomed & Pharmacother 53: 255-263, 1999. 11. Johnson PJ, McFarlane IG, Eddleston ALWF. The natural course and heterogeneity of autoimmune-type chronic active hepatitis. Rinsyo 53: 957-960, 2000 (in Japanese). 24. Miyadera H, Ohashi J, Lernmark A, Kitamura T, Tokunaga K. Cell-surface MHC density profiling reveals instability of autoimmunity-associated HLA. J Clin Invest 125: 275-291, 2015. 25. Hamaguchi K, Kimura A, Seki N, et al. Analysis of tumor necrosis factor-alpha promoter polymorphism in type 1 diabetes: HLAB and -DRB1 alleles are primarily associated with the disease in Japanese. Tissue Antigens 55: 10-16, 2000. 26. Asakawa H, Kashihara T, Fukuda H, Yamamoto M. A patient with thymoma and four different organ-specific autoimmune diseases. Neth J Med 60: 292-295, 2002. 27. Choudhuri K, Gregorio GV, Mieli-Vergani G, Vergani D. Immunological cross-reactivity to multiple autoantigens in patients with liver kidney microsomal type 1 autoimmune hepatitis. 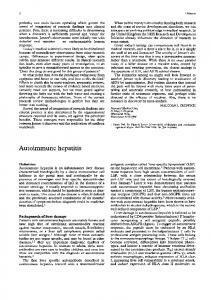 Hepatology 28: 1177-1181, 1998. 28. De Block CE, De Leeuw IH, Pelckmans PA, et al. Autoimmune hepatitis, autoimmune gastritis, and gastric carcinoid in a type 1 diabetic patient: a case report. J Diabetes Complications 14: 116120, 2000. 29. Hovinga IC, Stam ED, Mearin ML, Mul D. A girl with type 1 diabetes and a yellowish appearance. BMJ Case Rep 2010: 2010. 30. Najafi M, Zamani MM, Rezaei N, Sabbaghian M. Autoimmunity in inflammatory bowel disease: a case of ulcerative colitis with diabetes mellitus, autoimmune hepatitis and autoimmune hypothyroidism. Turk J Pediatr 54: 651-653, 2012. 31. Mroczkowska-Juchkiewicz A, Postepski J, Olesinska E, Krawiec P, Pac-Kozuchowska E. Exceptional manifestation of polyautoimmunity in a very young girl - a case report. Cent Eur J Immunol 42: 107-110, 2017. The Internal Medicine is an Open Access article distributed under the Creative Commons Attribution-NonCommercial-NoDerivatives 4.0 International License. To view the details of this license, please visit (https://creativecommons.org/licenses/ by-nc-nd/4.0/). 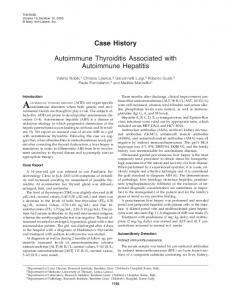 Report "Acute-onset Autoimmune Hepatitis in a Young Woman with Type 1"